Across all patients and sites, the mean relative abundance of C acnes decreased 1.4-fold from baseline to week 4. The use of systemic antibiotic treatment in patients with acne is associated with changes in the composition and diversity of skin microbiota, with variable rates of recovery reported across individuals and parallel changes in specific bacterial populations, according to study results published in JAMA Dermatology. In a longitudinal cohort study conducted at an academic referral center in Maryland between February 11, 2014 and September 23, 2014, investigators sought to explore the diversity, composition, and resilience of skin microbiota linked to systemic antibiotic-induced microbial perturbations in patients with acne. 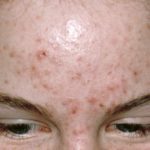 The study included 4 women who had received a recent diagnosis of acne vulgaris, exhibited comedonal and inflammatory acne on their faces, were age ≥18, and reported no recent use of topical or systemic treatments for acne, including retinoids and antibiotics. All of the participants were prescribed oral minocycline 100 mg, administered twice daily for 4 weeks. Skin areas on the chin, cheek, and forehead were sampled for 16S ribosomal RNA (16S rRNA) gene sequencing at baseline, 4 weeks after initiating minocycline therapy, and 1 and 8 weeks following discontinuation of treatment. The main study outcomes included skin microbiota examined in terms of relative abundance of bacterial taxa, α diversity, and β diversity. Acne status was assessed with the use of photography and lesion count. Of the 4 study participants, 2 were age 25, 1 age 29, and 1 age 35. Overall, 2 patients were white, 1 was black, and 1 was Asian. Across all 4 patients, antibiotic therapy was associated with a significant 1.4-fold reduction in the level of Cutibacterium acnes (difference, −10.3%; 95% CI, −19.9% to −0.7%; P =.04), with recovery reported following cessation of therapy. Distinct patterns of change were identified in multiple bacterial genera, which included a transient, significant 5.6-fold increase in the relative abundance of Pseudomonas species (difference, 2.2%; 95% CI, 0.9%-3.4%; P <.001) immediately after antibiotic therapy, as well as a persistent, significant 1.7-fold increase in the relative abundance of Streptococcus species (difference, 5.4%; 95% CI, 0.3%-10.6%; P =.04), and a significant 4.7-fold decrease in the relative abundance of Lactobacillus species (difference, −0.8%; 95% CI, 1.4% to −0.2%; P =.02) 8 weeks after the withdrawal of antibiotic therapy. Overall, the use of antibiotics was linked to an initial decrease from baseline in bacterial diversity, which was followed by recovery. 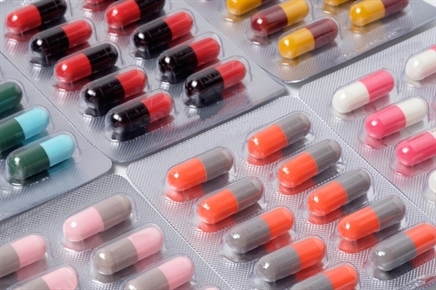 The investigators concluded that understanding the relationship between systemic use of antibiotics to treat acne and transient, persistent changes in skin microbiota may help clinicians decrease the probability of skin comorbidities that are linked to microbial dysbiosis.